A trip to the seaside at Weston Super Mare, taking the X5 to Oxford, the 66 to Swindon and then the train from there via Bristol Temple Meads and returning via Bristol Parkway. 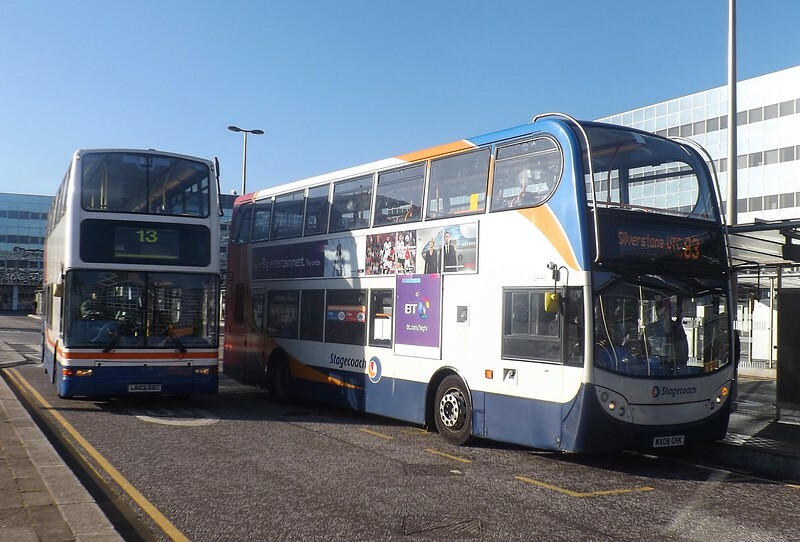 The daily Stagecoach 83 to Silverstone, Milton Keynes, 28/04/2015. Stagecoach Scania Enviro 400 MX08GHK 15446 on the 83 to Silverstone being passed by Z&S Trident LR02BBO on the 13, Milton Keynes Central, 04/05/2015.